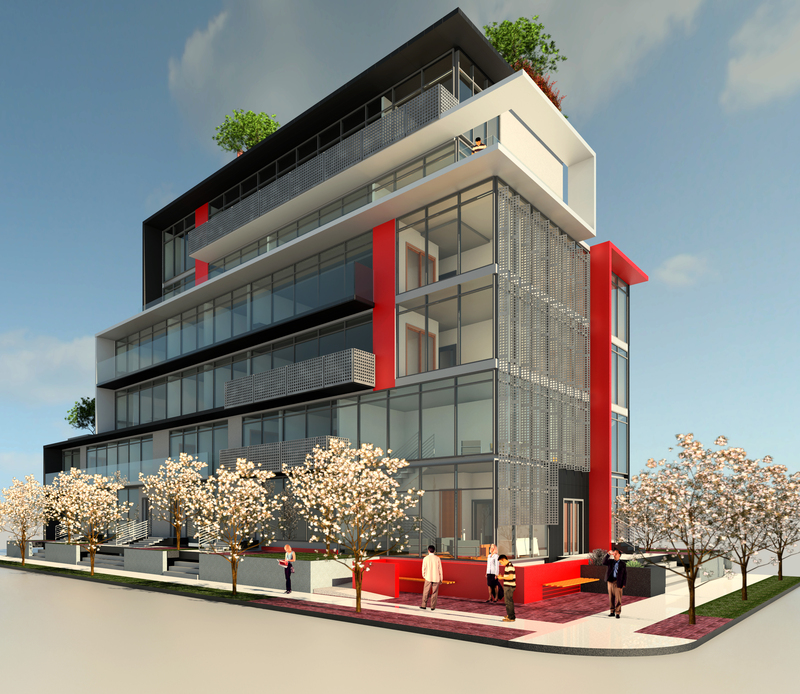 Cambie Street - Vancouver | Billard Architecture Inc.
Rezoning application passed with praise from council. 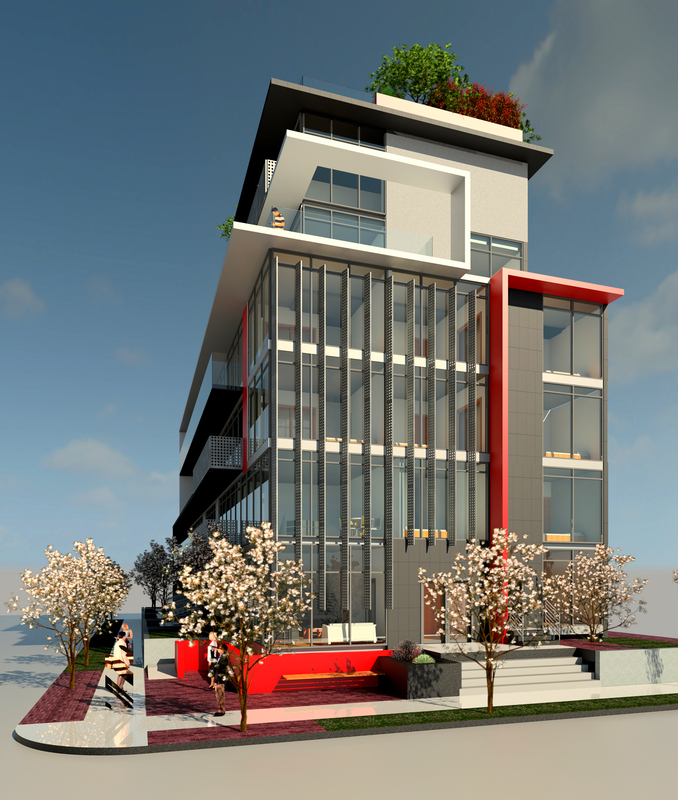 Multi-family housing on Cambie Street for the new Corridor OCP. 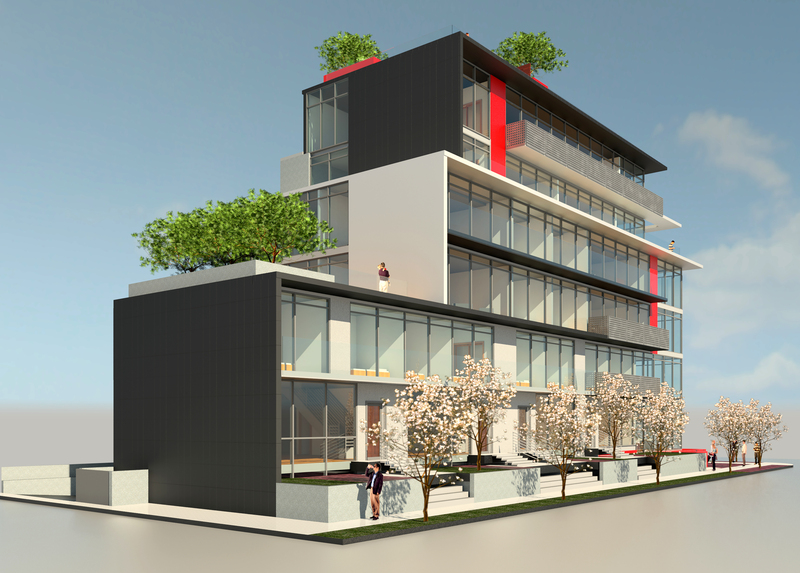 Family friendly units with 10 of 12 as three-bedrooms. The neighbourhood association loves the colours and how it breaks away from a lot of the rest of the nearby development. The Vancouver Urban Design Panel found it to be more of a sculpture and less architecture but approved it anyway.